Fauteuil d'Oreille: Thomas Tomkins (1572-1656) - Above the Starrs - Fretwork, Emma Kirkby e.a. 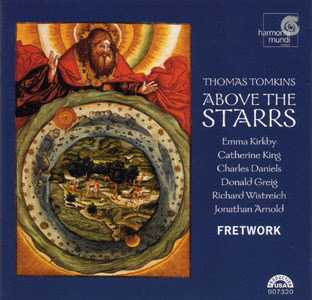 Thomas Tomkins (1572-1656) - Above the Starrs - Fretwork, Emma Kirkby e.a. Opname 2002, St. Bartolomew's Church, Orford, Suffolk. Thanks Diccme. I'll check your blog too. Your blog really contains excellent stuff (which is because of the refined taste of the owner)! I am very much interested in Tomkins, but can't access the download. I get "There are not shared folders from this user" when trying to access Rapidshare. Is there any cure for this problem?